Some teachers, including school leaders, often enquire where they can find that one document that is the ‘fountain of knowledge’, from which they can work when preparing for the interview process. Sad to say there is no definitive ‘golden book’, if only life were so easy. However, it is surprising how many teachers, preparing for interview, fail to understand the importance of the contents of LOOKING AT OUR SCHOOL 2016. 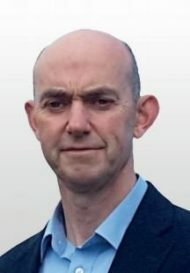 Pearse O’Donnell, Bandon Careers Coach with Sli Nua Careers. Giving advice on how to approach teaching interviews and the tools to use. There are two separate LOOKING AT OUR SCHOOL 2016 (LAOS) publications that individually set out the required quality framework for our primary and post primary schools. Both are published by The Inspectorate of the Department of Education and Skills and they are broadly similar in content and layout. LAOS outlines the required educational standards and explains how those standards will be assessed. It also aims to give a clear picture of what good educational practices in a school should look like. More importantly for the interviewee, the document highlights and explains to the teacher, and school leader, competencies and practices (called ‘Domains’ in the document) that are required to deliver the desired learner outcomes and experiences for pupils. The competencies that are looked for on most educational sector application forms nowadays are taken from the LAOS domains. Consequently, it is smart preparation for candidates to read the document and give back exactly what the interview board wants. This is also the case for the required standard of teaching practices both as an individual and working collectively as a part of the school staff. “It’s a 32-page document and I have no hope of retaining all that information,” I hear you say. Well, in their wisdom, and luckily for the interview candidate, the publication’s authors have synopsised a very well laid out overview table of the required competencies and practices on page 12 of the document. Normally I am not one to advocate a short cut, but official publications can be hard work, so take the break when it comes. Caveat emptor, and all that. Among other things the overview presents the standard for good teaching practices as having the requisite professional knowledge, classroom management skills and assessment techniques that optimise pupils’ learning. It advocates continuous professional development and places a significant emphasis on teachers working collaboratively to improve pupils’ learning outcomes and experiences. These outcomes and experiences are also explained in the overview and include pupils engaging purposefully in their education and enjoying the experience while doing so. The overview calls for school leaders to be competent in four domains. In the first domain for example, ‘Leading teaching and learning’, school leader candidates can use page 12 to guide their example preparation and demonstrate where they improved learning, fostered equality, managed the school curriculum and encouraged professional development. Candidates could devise a similar preparation method to prove that they meet the requirements of the remaining three domains; ‘Managing the organisation’, ‘Leading school development’ and ‘Developing school leadership’. In order to meet the standards required of our teachers and school leaders, candidates must first know what these requirements are and then be able to prove, best done through prepared examples, where they met or exceeded these standards. The LAOS 2016 publication provides a pathway that prompts you how to focus and improve your interview preparation. It may not be the ‘golden book’ for teacher candidates, but, in my view, it is not too far off it. You can find “LOOKING AT OUR SCHOOL 2016 – A Quality Framework for Post-Primary Schools” here. Interested in reading more? – Learn more from the Sli Nua team where Liam talks about how to interview well in this piece here.